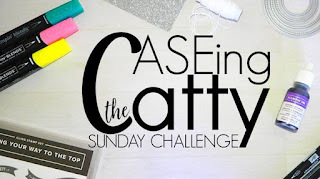 Hello and Welcome to our beautiful Sunday Night Blog Hop and challenge Caseing the Catty. 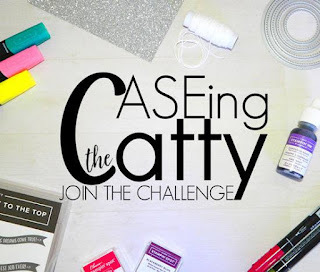 Our challenge is about finding inspiration from the amazing projects in the Stampin' Up! catalogues. To CASE is to Copy And Selectively Edit or Copy And Share Everything. I've been inspired by the lovely Petal Pink card at the bottom right of the landing page for the chapter. I've used the same colours and many same elements as the original but I've adapted the design to suit my own supplies!! The orientation of the card has been changed to a landscape profile to suit the beautiful greeting panel which features the glorious Stitched Labels die cut! 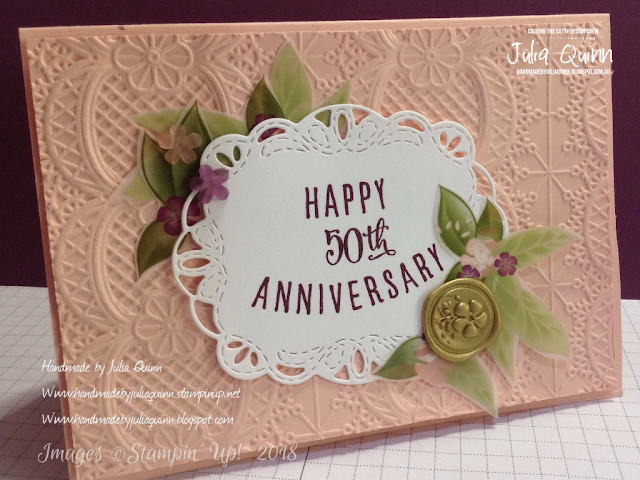 As this was a super special card for some really super special people I've made it into an Anniversary card using the Make a Difference stamp set for the numerals, and the Banners for You stamp set for the words. This stamp set is photopolymer which was perfect because it allowed me to gently bend the stamp a little to get the curved edge to the greeting. 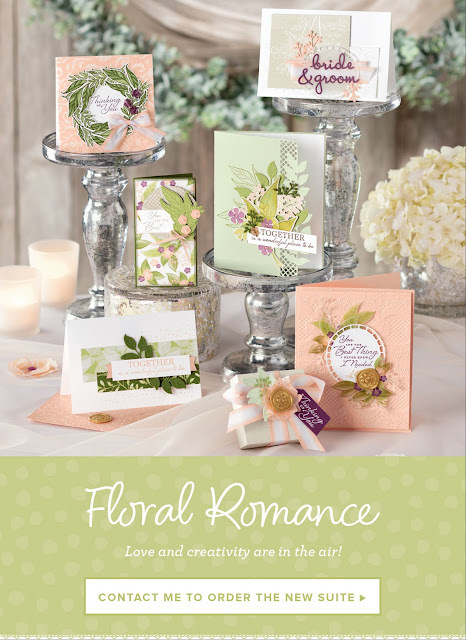 The inside features some more of the elegant Floral Romance DSP as well as those gorgeous fussy cut vellum floral and leaf clusters. 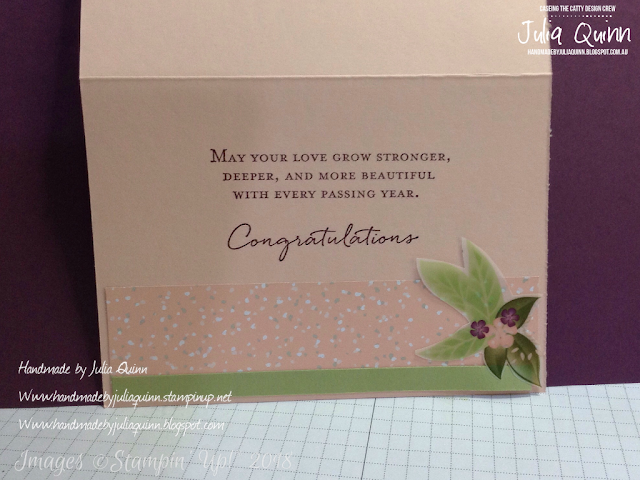 I've used greetings from Floral Phrases to continue our best wishes on the inside of the card. 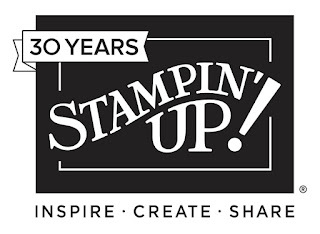 I hope you've been inspired to seek your starting point from our Stampin' Up! catalogues!! 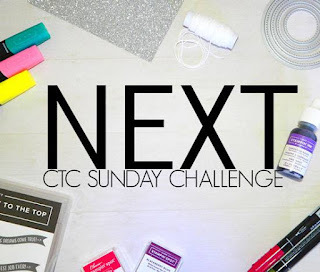 Please join in the fun with us and add your project to our facebook challenge page. Up next on our lovely hop with the Floral Romance chapter is lovely Sandra and her gorgeous butterfly card. Oh I do love that embossing folder! Your card is so pretty!! Beautiful, pretty & elegant card. That embossing folder looks amazing. I really should get it! A beautiful card, and I like the way you continued the theme through to the inside. What a gorgeous card to celebrate such a huge milestone. It's spectacular and I'm sure the recipients loved it. 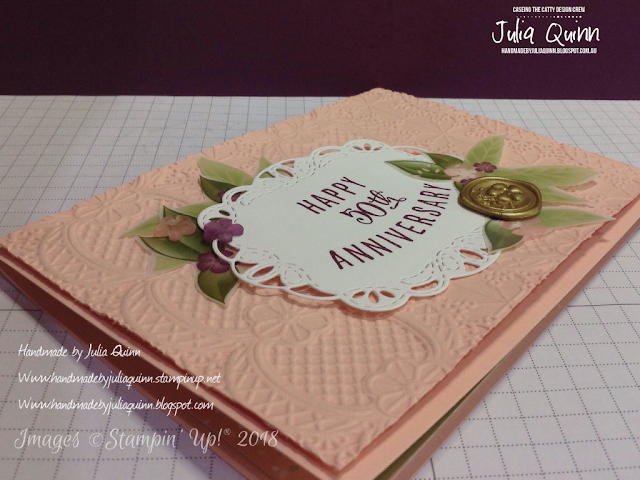 What a gorgeous card, Julia and perfect for a special anniversary.